We believe in providing open and transparent pricing. So with this in mind we’ve laid out some pricing for some typical installations below. 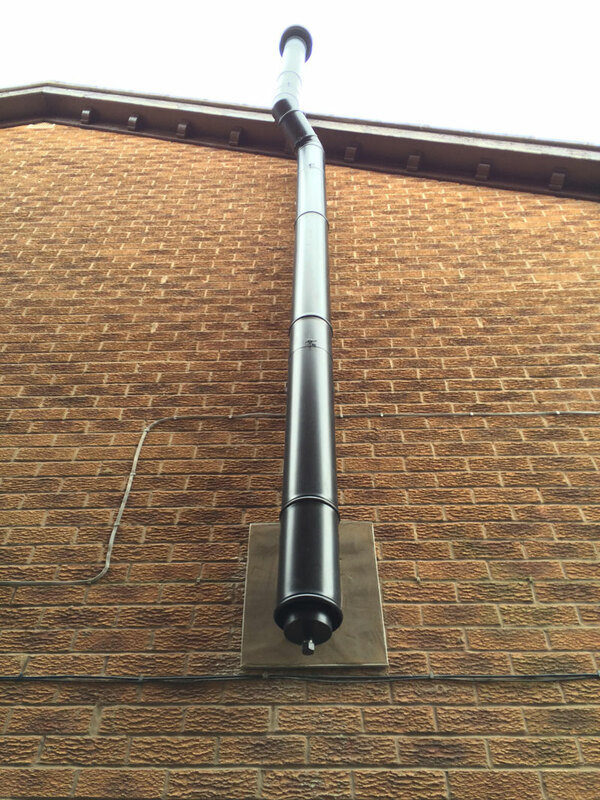 While all installations are different, there are typical costs associated which are fairly consistent. 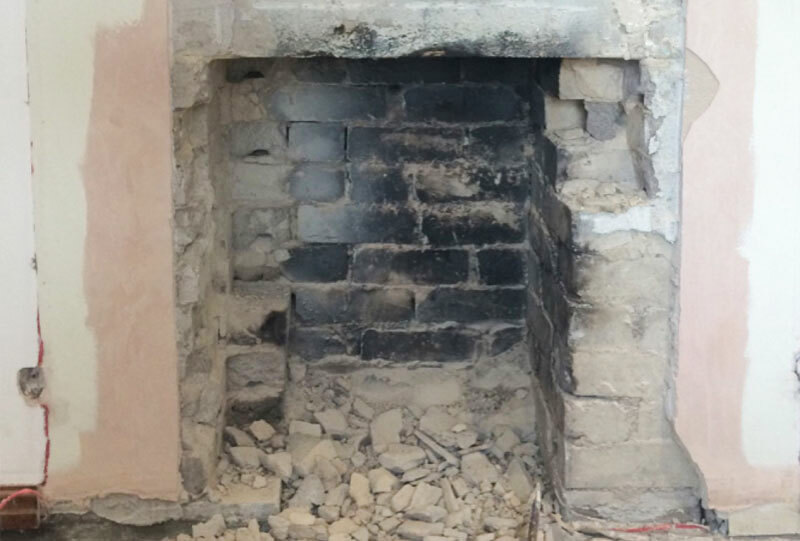 For a detailed and comprehensive quote, Contact us and we can arrange a free home survey. 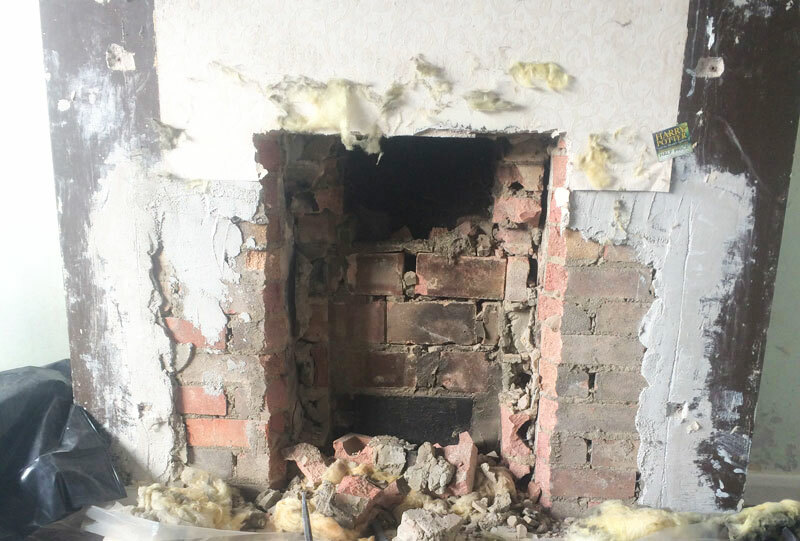 I don't have a chimney? 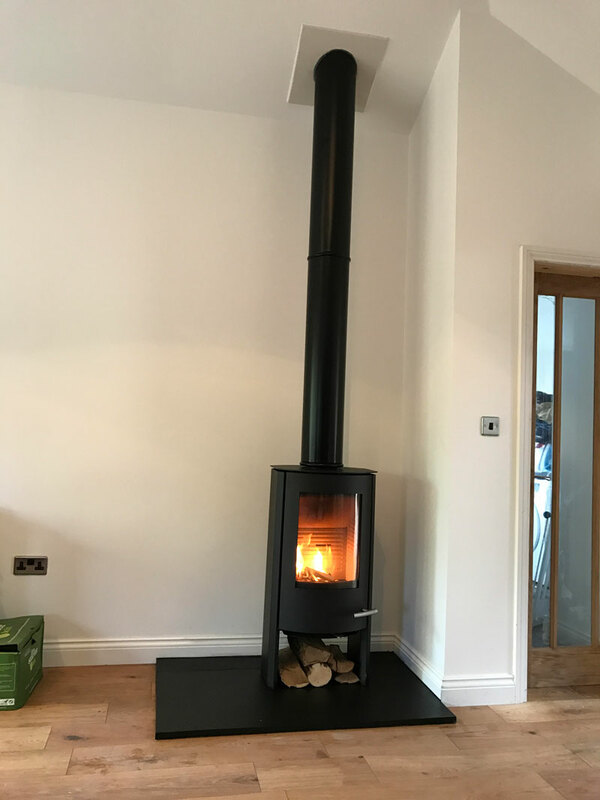 Fully HETAS registered in house installation. 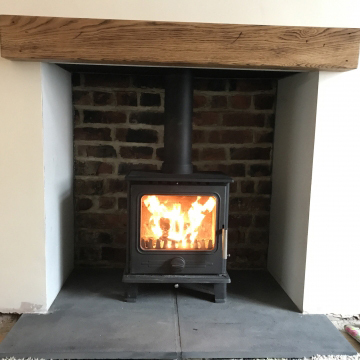 Installation includes removal of existing fireplace, building work to expose stove chamber, installation of flue, hearth and stove, 5 year labour warranty and HETAS registration. 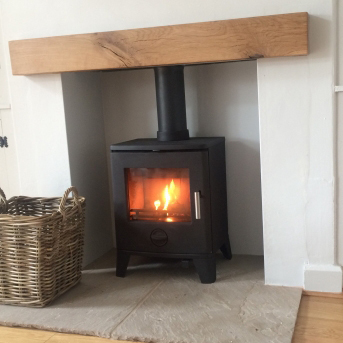 Choice of woodburning or multi fuel stoves. 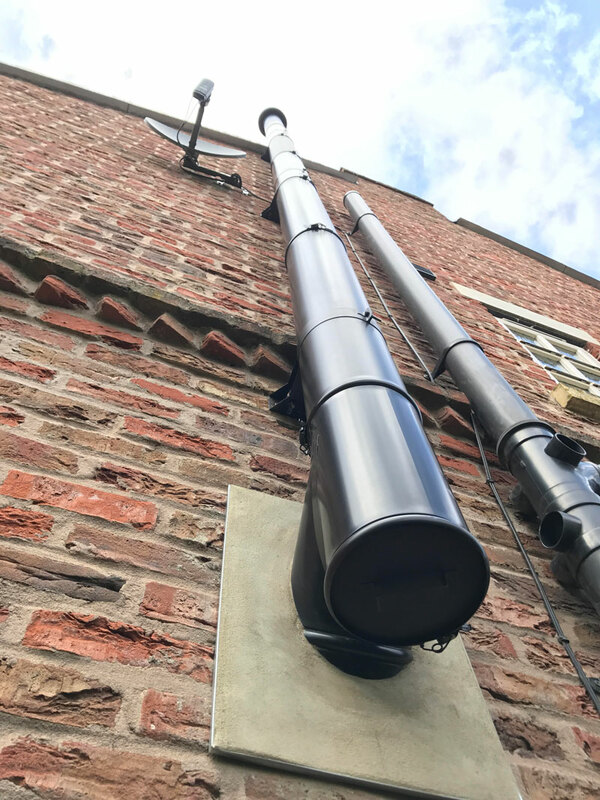 316 Grade flue liner, cowl, flue pipe & all flue components. Choice of natural stone flagged hearths cut to size on installation. 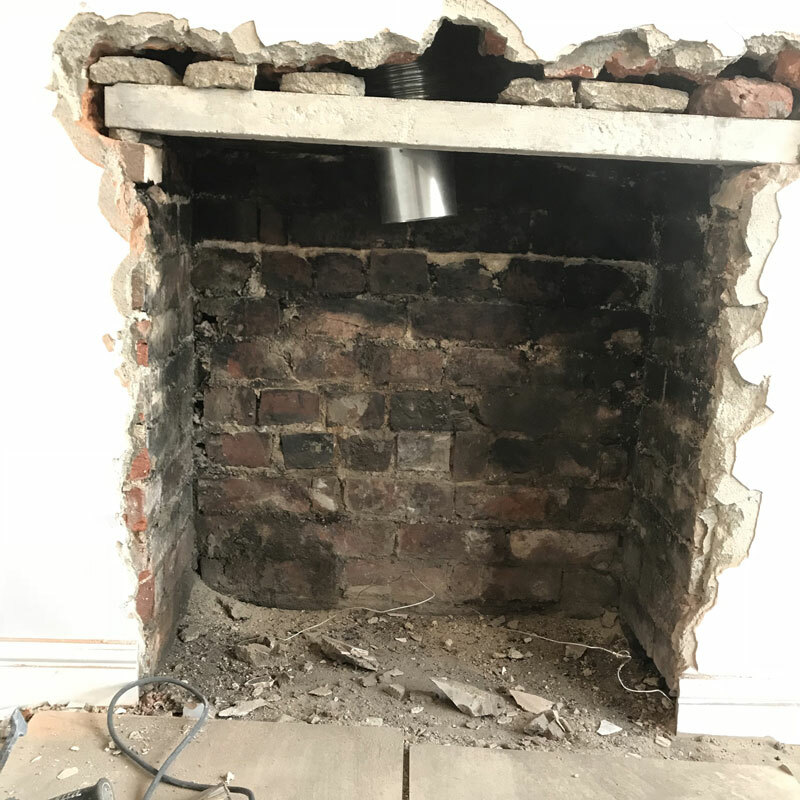 Includes fireboarded chimney opening or exposed and refurbished brick. 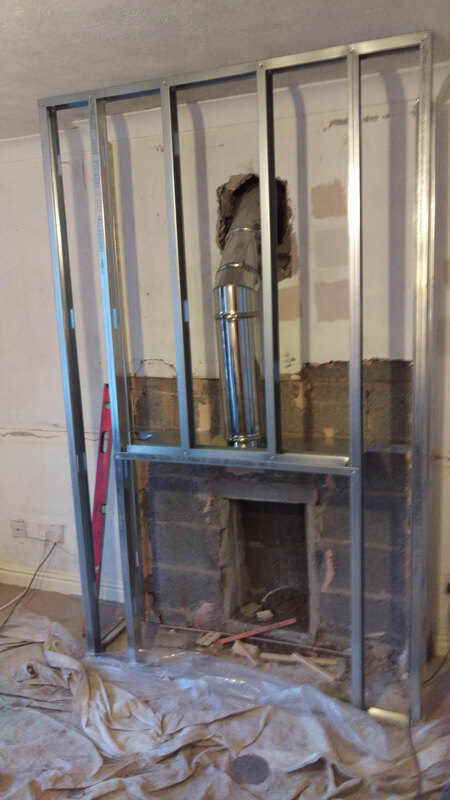 Includes remedial plastering around opening. 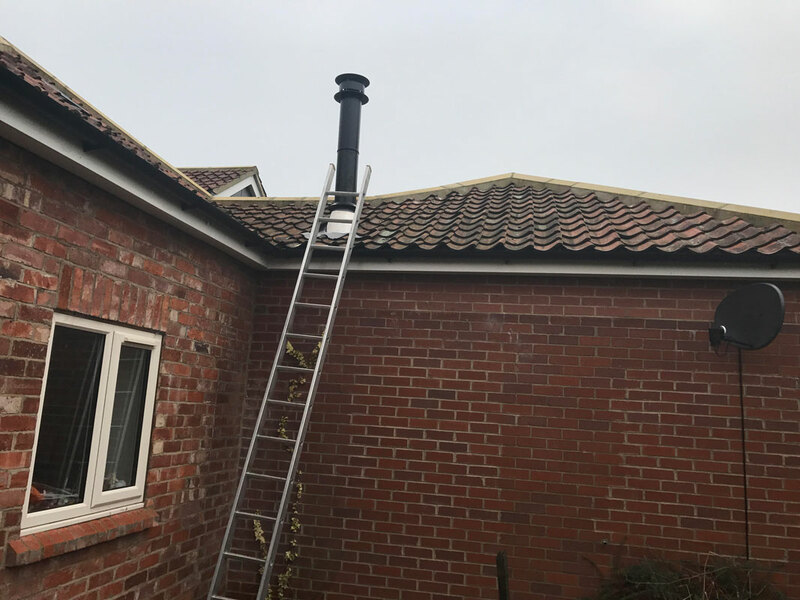 Conditions apply and prices subject to free home survey. Extra labour charges may be applied for additional building work where required. *Beams, mantels, shelves are available at additional cost. Associated gas work and rubble disposal is not included. 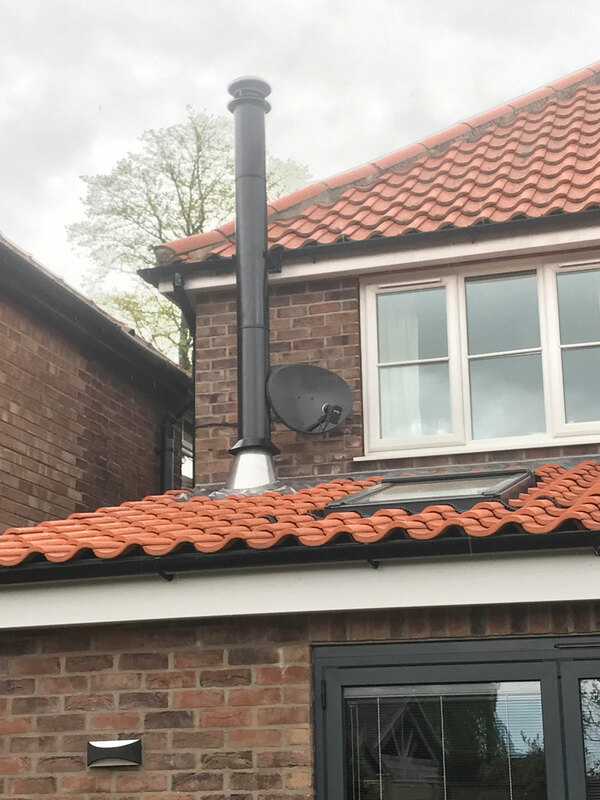 20 year guaranteed twin walled flue system. Choice of natural stone flagged hearths. 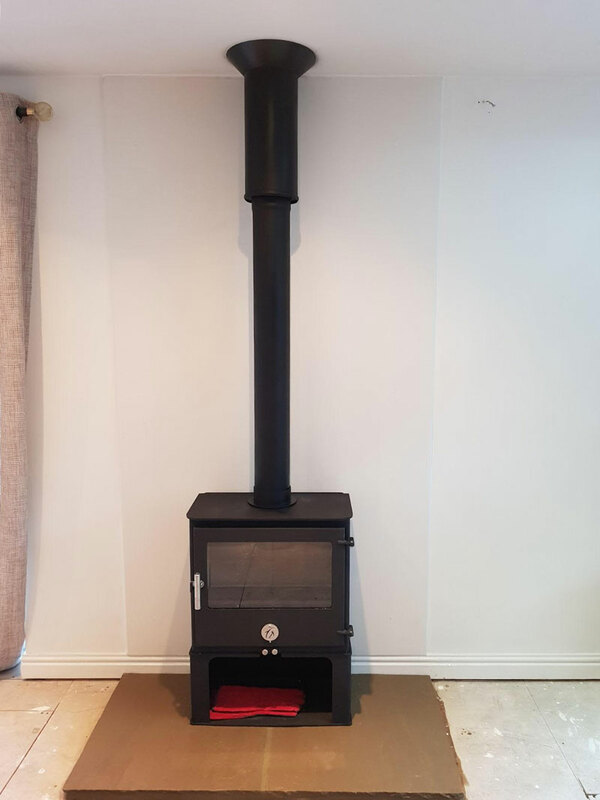 Flue powder coated in black externally and sprayed to suit stove internally. 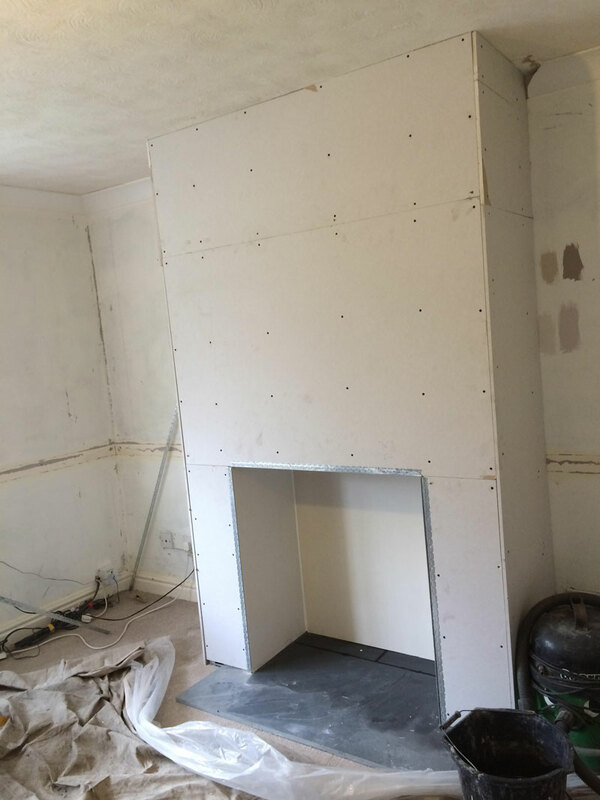 Fireboarded protection to rear of stove as required. 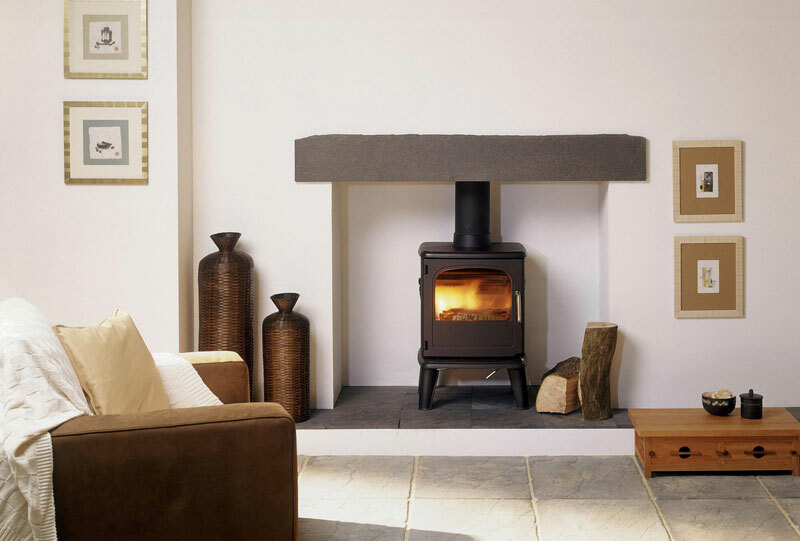 Choice of woodburning or multi fuel stoves. 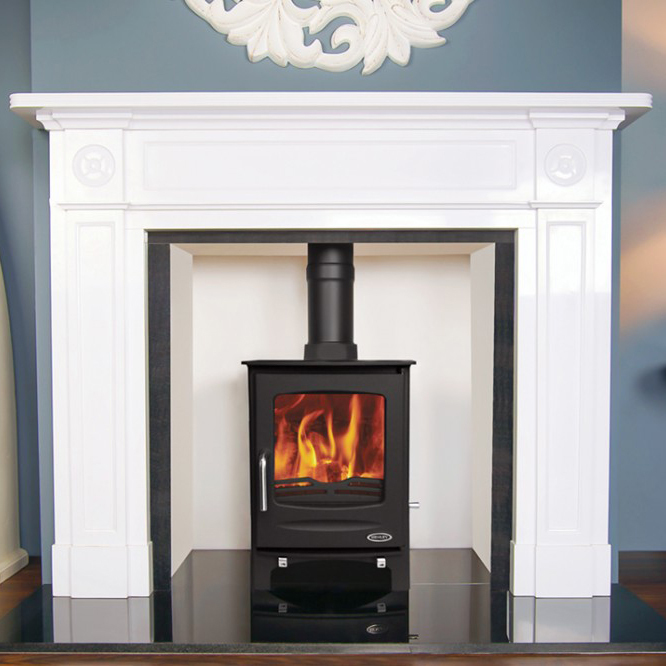 Stoves and hearths available to view on request at Ignite premises.